You might want to think twice before inking your loved one’s name on your body, even if it’s pizza. On 31 August, Domino’s Pizza Russia came up with a proposition that sounded too good for any fan to pass up. Over at social network VKontakte, which is akin to Facebook in Russia, the brand announced that it would offer “100 pizzas per year” to anyone who tattooed the brand’s logo on their body for 100 years—essentially a lifetime. The promotion was meant to come to a close at the end of October, but the brand was forced to end it less than a week after it launched. 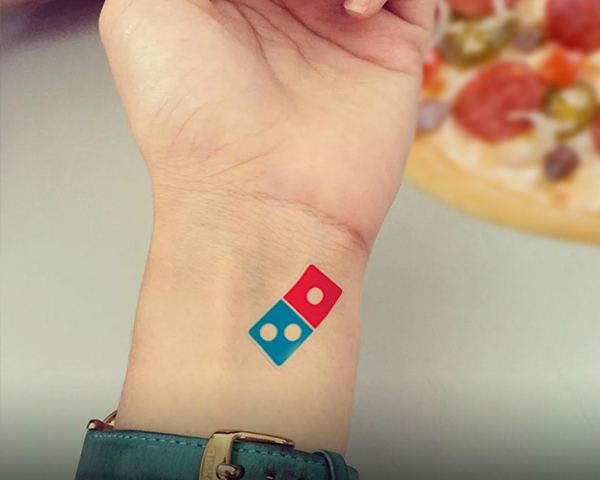 As it turned out, an astounding number of patrons were willing to take up the offer, and too many people actually had the Domino’s logo inked on their skin as a result of the promotion. On Tuesday, Domino’s Pizza Russia sent out a follow-up announcement urging fans to stop tattooing their bodies for the deal. Thankfully, the promo was still applicable to those who had already inked their bodies with Domino’s tattoo before Tuesday, though fans who didn’t get the memo in time might have ended up becoming walking advertisements for nothing. The campaign’s permanent repercussions echo that of KFC’s recent campaign, which offered US$11,000 to parents sporting enough to name their baby after the Colonel.